The Berenstain Bears have been around for awhile. 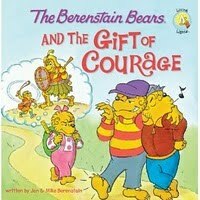 I know because one of the first books my parents gave me all my own was The Berenstain Bears and the Messy Room. It was a Christmas present that felt a bit like a lesson, much like the ever practical gifts of socks and undies. I've never been entirely organized and my parents obviously thought a good story was the way to one's heart. Much wisdom in that!